The HB-SC-0300-N is used for backing up hydrogen sources in laboratory rooms. 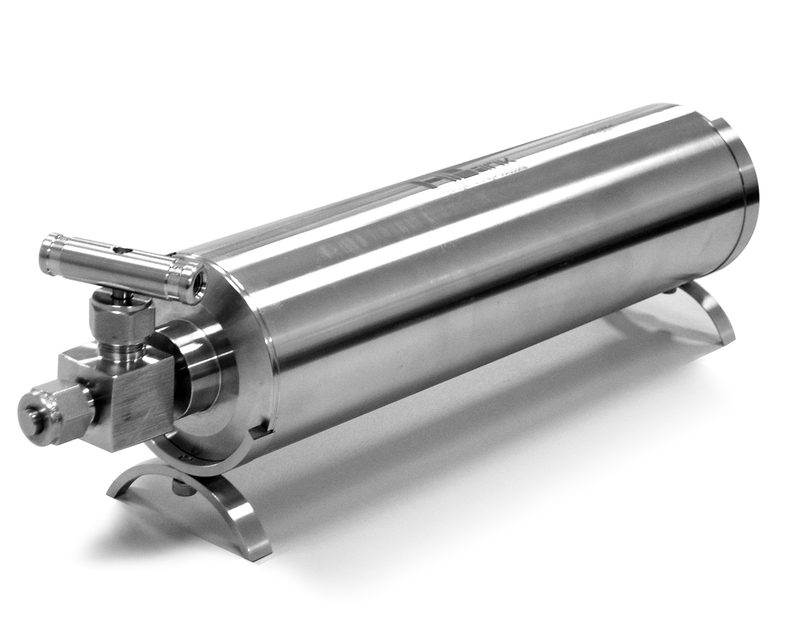 It is designed to provide hydrogen for stationary instruments(GC, GC-MS, et al. ), and able to run for over three units of GC instruments at the same time. It is a hydrogen storage system, based on the latest achievements in solid metal hydride technology of AB5-type alloys as well as on unique techniques of alloy loading. It allows to store and release the gas at ambient temperature and at designed pressure range from 1.0 up to 10.0 atm with very high stability of gas flow: 95% of stored gas can be released with designed maximum flow rate at almost constant temperature. At present, this type of storage is considered as the safest one: gunshot tests with full hydrogen charged tank does not result in any combustible reaction, which clearly demonstrates the safety level of the product. Unlike the high-pressure hydrogen cylinders, here hydrogen is bonded with the alloy chemically. So, it will take hours before the system will release it fully in event of gas leakage caused by system’s damage. The system is able to pass a few thousand charge/discharge cycles without any essential changes in working technical characteristics, while exploited properly. In addition HB-SC-0300-Q is capable to provide high purity hydrogen (over 99.9999%) while charged with only 99.99% purity hydrogen. It makes HB-SC-0300-Q an ideal pure hydrogen source for Gas Chromatography and for many other gas purity-sensitive systems.